Keeping up-to-date with the terms, acronyms and phrases involved in the always changing world of Social media marketing can be quite challenging. It is in your best interest to be well acquainted with these terms in order to communicate effectively with associates and employees within the industry. So we’ve decided to include a glossary of social media terms you can review. Knowing these terms will add a lot to your standing as a social media professional whenever you attend meetings or conferences.These are the Terms Every SMM Needs to Know. The percentage of social customer service issues that are abandoned by customers without a resolution. Algorithms are a precise rule (or set of rules) specifying how to solve some problem. Algorithms are what’s used to power search engines. Social media platforms use algorithms to determine content and to define which topics and hashtags are trending. The Facebook algorithm is the bane of all social media manager’s existence. AMA is an acronym on Reddit for “Ask me anything,” in which one individual will answer questions posed by the Reddit community. To-date, the most popular AMA of all time took place in 2012 with President Barack Obama. The worst handled ama was probably Woody Harrelson (although there were a few others that were totally cringe worthy). If you plan to market on reddit, please research first. These two posts are a good place to start: reddit guide 1, reddit guide 2. Analytics refers to the uncovering of patterns in data, usually accomplished with a software application that tracks information related to user visits on a social media platform or website. This is perhaps the most important thing in social media management. 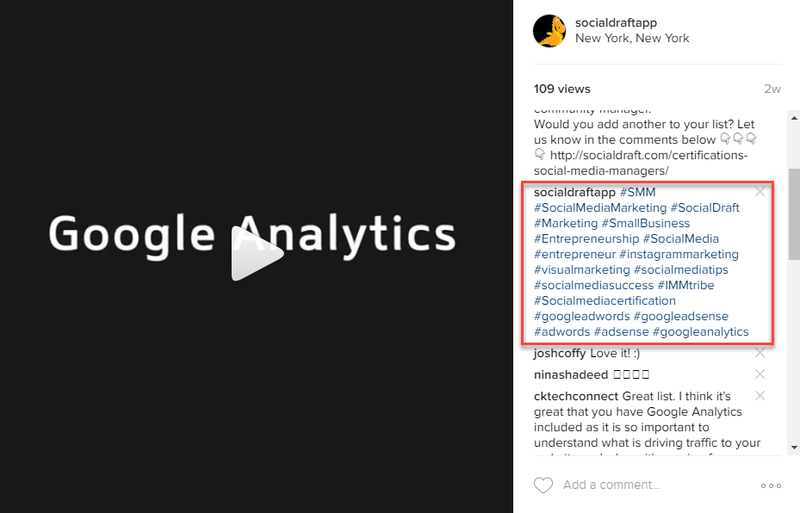 If you want a quick get started guide to Social Media analytics, click here. An application program interface (API) is code that allows two software programs to communicate with each other. APIs are released for third-party development or an open API published on the Internet. 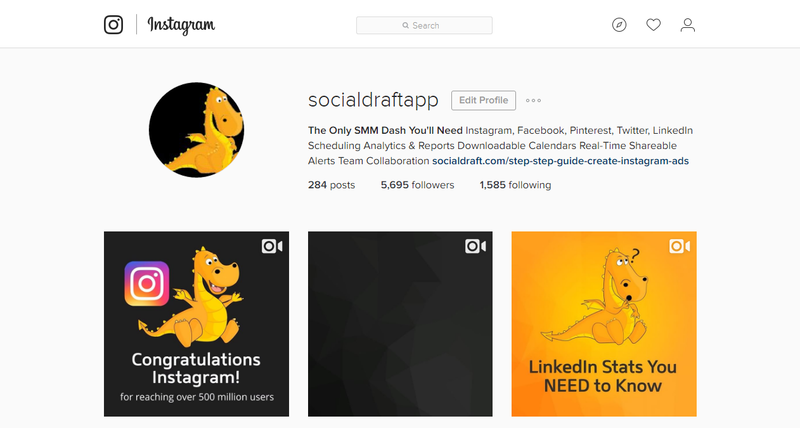 An example is how APIs allow systems like Socialdraft to schedule to Facebook and LinkedIn. Data archiving is done by moving data to a separate storage location for long-term retention. Data that is archived is typically older data that is still important and may be needed for future reference, as well as data that must be retained for regulatory compliance. The audience selector lets you select an audience for what you share on Facebook. This tool remembers the audience you shared with the last time you posted and uses the same audience when you share again unless you change it. Authenticity on social media refers to the quality of being genuine or valid in order to instill trust with your audience. Authenticity is the basis for having an engaged audience, and community building. An icon to represent a participant in social media, or Internet chat and games. If you are a brand or business, your Avatar should be consistent throughout all your social networks. The average time required to resolve customer issues on social media. How long it takes on average to reply to a customer’s messages while resolving an issue. This can refer to both your more traditional customer service outlets, as well as messages on Social Media. 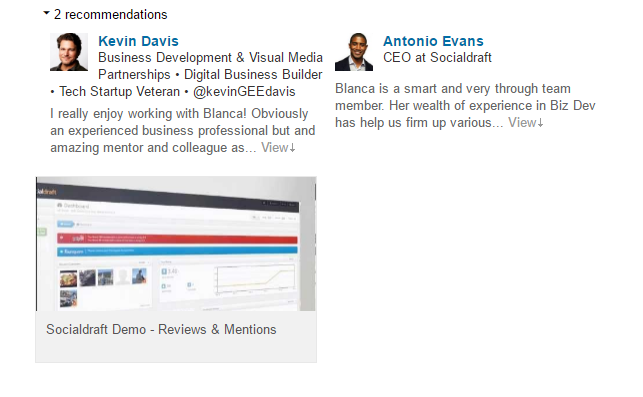 More and more social networks are making this a more prominent item in business profiles as in the example seen above. Business-to-business (B2B) is when one business makes a commercial transaction with another. In other words business to business refers to business conducted between companies, as opposed to between a company and individual consumers. Business conducted directly between a company and consumers and differs from the business to business model, which refers to commerce between two or more businesses. Big data refers to data too large or complex for traditional data processing applications, and may include analysis, data curation, search, sharing, storage, transfer, and information privacy. Bio or biography, is a brief account of the events that constitutes and explains who you are to followers on a given social media account or blog. Your bios should be completely filled out and include key words that are SEO friendly AND make it easy for people to understand what your business goals are on that social network. When you block someone on a social media account, you are preventing them from accessing an exchange with you on a given social media platform. The blocking procedure varies from platform to platform. Bounce rate refers to the percentage of visitors who visit a website or blog and then leave instead of viewing other pages within the site. A bounce rate is known to affect a website’s SEO ranking. A brand advocate is a consumer who so enjoys a particular product that they promote the product on their own via social media. Brands that engage with customers on social media help to solidify powerful relationships that may evolve into brand advocates who are happy to promote your product. Brandjacking is what the term implies — commandeering a brand with phony accounts to tarnish the brand’s image. A good example of Brandjacking is what happened to Target decided to user gender neutral signage in their kids section. Someone created an account called “Ask for Help”, added the Target logo to the account and trolled commentors on the Target Facebook page. While this was done as a joke, most brandjackers will do this with more malicious purposes. A Call to Action is a marketing term for an attempt to persuade a person to perform a desired action, such as “Buy Now” or “Register Today”. In web design, a CTA is a banner or button on a website prompting a user to click it for some type of conversion. Studies have shown that adding a Call to Action on a Facebook post increases the changes of click through by 285%. Pretty important, right? An abbreviated description placed beneath a social media post. As a rule, these are best kept short, but there are always exceptions. A center of excellence (CoE) is a group that provides leadership, best practices, research, support and training for a focus area, such as The focus area might be a business concept, a technology or extensive field of study. Many social networking services, such as Foursquare, Facebook, and GetGlue, allow users to “check in” to a physical place and share their locations with their friends. Users check in by text messaging or by using a mobile application on a smartphone. Google+ Circles group people together based on your defined relation to them. There are circles for family, associates at work, or various interest groups. You can also filter what other people are sharing. Clickbait is a term referring to sensational web content designed to attract click-throughs for the purpose of generating online advertising revenue. 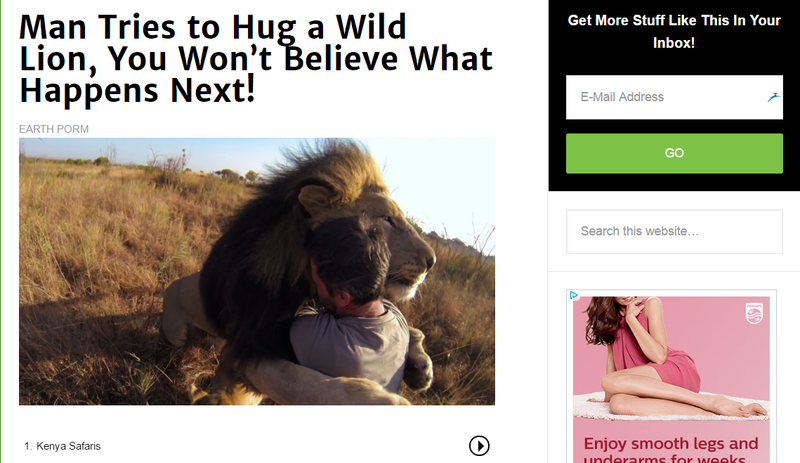 Clickbait headlines supply just enough information to make the reader curious enough to click through to linked content. Want to learn how to create effective click bait? Click here. Clickthrough rate is the ratio of how frequently people who see your ad actually click on it. CTR’s are used to measure the success of an advertising or email campaign on a website. The higher the CTR the more effective the marketing campaign. Community management is the management of a common issue or interest by a group of people through collective action. The idea being that the community serves as counselors on behalf of a common interest. This is different than a social media manager. To learn the difference, click here. Tracking via social media your brand’s sentiment in contrast to your competitors’ sentiment. The information can be used to for assessing viability and threats. In social media, compliance refers to the adherence to rules and regulations related to the online communication of regulated industries, such as healthcare, banking, and insurance. Businesses must follow rules set forth regarding what they communicate to the public. The activities of financial institutions, including social media activities are regulated by specific consumer protection and compliance laws. Connection in the context of LinkedIn, refers to a contact you know personally and who you trust on a professional level. This is considered a 1st-degree connection. Then there is the extended network of connections made up of people that your connections know. Connections can make intros to other LinkedIn users so they are quite valuable. Content curation is when you collect information on an area of interest, and then present and organize that information in a way that has value for your readers. reddit (yes it is supposed to be in lowercase) is a great curation engine. 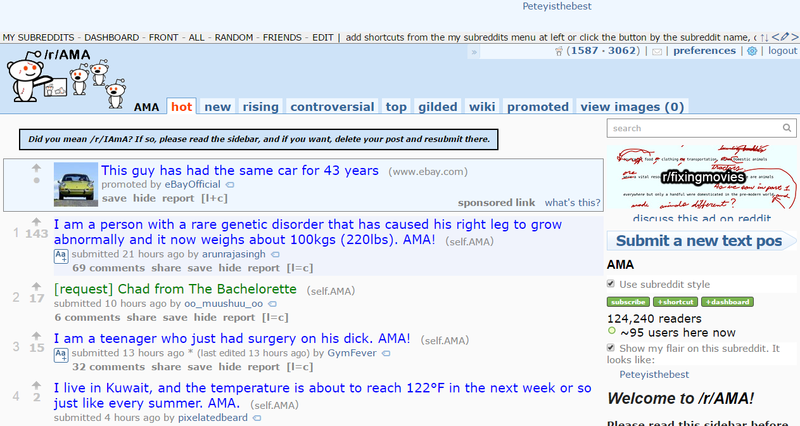 Click here to learn more about reddit as a curation engine. “Content discovery” refers to the discovery of content people never knew existed in the form of text articles, audio or video files, slideshows, and infographics. Many social media platforms have discovery-based features integrated into their sites, such as Facebook’s News Feed or YouTube’s “Recommended for You” section. A content management system is a computer application that allows publishing, editing, and deleting of web content from a central interface. A content management system eliminates the need for hand coding, and many corporate and marketing websites use a content management system. Content marketing centers on distributing valuable, and consistent content to attract and influence decisions of a target audience into some form of profitable customer action. Content marketing is a bit different than Social Media content because content marketing is owned, it does not sit on rented land such as a social network. When you work on content marketing, you are not hard selling, you are providing a value to your potential clients so they consider you an authority, trust you, and then convert into customers. The quantity of content developed in a specified period of time. In social media, a conversion is when someone responds to whatever your call-to-action is, be it to buy your product, fill out a registration form, or open an email. This makes all social media marketers happy. A conversion map provides an illustration of the online conversations in the form of a percentage of total mentions that can impact and influence your business and brand. Cover photo refers to the image you use on a social media profile page to represent who you are, and what your business is about. Your cover photos should have a similar aesthetic across multiple social networks so that it is easy for people to recognize your brand no matter where they are. Creative Commons enables the sharing and use of creativity and knowledge through free legal tools. The copyright licenses provided by this non-profit organization supply a standardized way to give the public permission to share and use your creative work on conditions of your choice. Creative Commons licenses are not an alternative to copyright, but they let you to modify your copyright terms to best suit your needs. Customer experience is self-explanatory. It is a measurement of the individual’s experience between an organization and a customer in contrast to the individual’s expectations. Customer relationship management refers to the way in which companies manage and analyze customer interactions and data throughout the customer lifecycle. The purpose of CRM is to retain customers by heightening the business relationships with them. Some who haunts other people’s profiles on social media such as twitter, Facebook, and Google+, in order to dig up information about a person. Crisis management describes an event in which a business, brand or organization reacts to a major damaging crisis that threatens to diminish their public image. If you don’t have a social media crisis plan, this will help. Crowdsourcing refers to soliciting content, ideas, or some service from your online fan base, as in reviewing or commenting on a product. Call deflection rate refers to the number of times customer service issues are deflected to alternative customer service channels. Call deflection can improve customer satisfaction if handled properly. For example, if a customer publicly tweets you, you can DM them, ask for their email and then take the conversation out of the public eye. A direct message refers to communicating privately on Twitter and other social networks with a person or a group of people. Direct Messages support text, photos, links, emoji and Tweets. Discover is a term that describes a feature on the Twitter that covers 5 parts: Tweets, Activity, Who to Follow, Find Friends and Popular accounts. 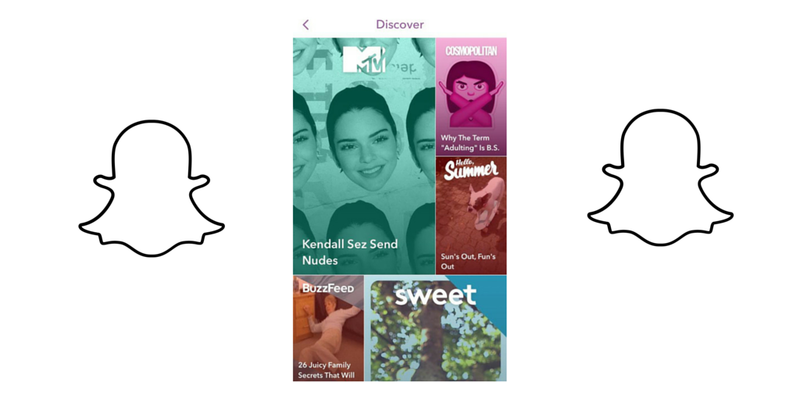 The Discover feature on Snapchat allows users to explore Snaps from different editorial views as they relate to videos and articles. Each Channel publishes hand curated stories daily. Display ads refer to online advertising that include banner ads, text-based ads, images, and audio and video to communicate an advertising message. Electronic discovery refers to discovery in litigation of information in electronic format in response to a request for production in a law suit or investigation. Embedded media consists of media in the form of audio, videos, images, and rich media, embedded into outside content, such as a blog or website. Most social networks offer an embed option. An employee advocate is when an employee of a company promotes or defends a business online through social media, as part of their job description. Employee amplification is when you include your employees in sharing a company’s social content to extend the reach of an audience that sees the content you are creating. An empowerment model refers to the involvement of enterprising ideas related to social media from all employees in all sections of a company. Social media engagement refers to interacting with people on social media in the form of comments, replies to comments, “Likes”, a clicked link and/or any other form of interaction you have with other users. Engagement rate refers to the percentage and duration of engagement from users who visit your social media platforms. Brands all strive to achieve the highest engagement rate possible. Extended circles are a feature on Google+ and refers to circles that include people in your circles’ circles. Posts shared with your extended circles will be visible on your posts tab to people in your circles’ circles. You aren’t able to see a complete list of the people included in your extended circles because this group of people are always changing. F4F stands for “Follow 4 Follow” or “Follow for Follow” which is used on Instagram and Twitter. Users may tag #F4F on their photos hoping other users see the tag and decide to follow them. This type of hashtag yields low quality follows who do not convert. If you aren’t too experienced with hashtag use, click here for a simple, but thorough tutorial. Facebook Groups are specific sets of people, like family, teammates or coworkers. Groups are spaces where you can share updates, photos or documents and message other group members. You can also select one of three privacy options for each group you create. 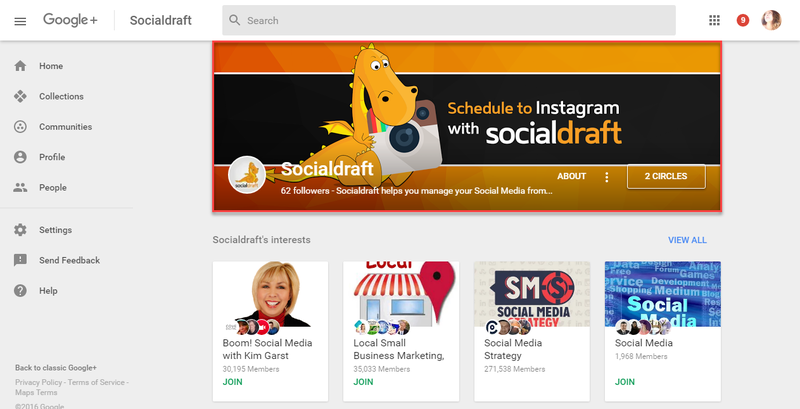 You can join the Socialdraft Facebook group to get tips and help with your social media marketing. 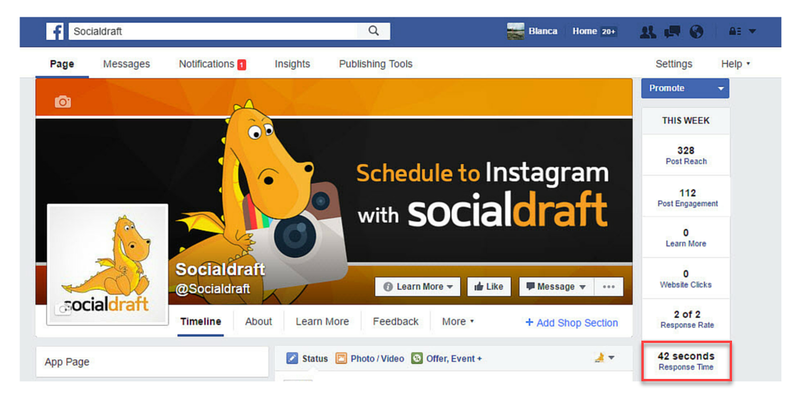 Just a note, you can schedule to Facebook groups using Socialdraft. Your Facebook Network simply refers to the entire group of people that you are friends with on Facebook. With Facebook Noted you can write a longer post, and also add a cover photo that represents what your note is all about. You can caption and resize photos, and format your text into headers, quotes or bullets. Facebook Reach refers to the number of people who have seen your post when shown in News Feed. Figures are for the first 365 days after a post was created and include people viewing your post on desktop and mobile. Reach is the number of people who received impressions of a Page post, and might be less than impressions since one person can see multiple impressions. Facebook fans is another way to refer to the people who like your Page. A favorite Tweet is when you click the star icon on Twitter in response to a Tweet you like on Twitter. A steady stream of updates and information. A Web feed or RSS feed is a format that provides users with frequently updated content. A filter is used to produce an effect on images when you want to tweak or edit a photo. Instagram provides over 20 different filters, but you can use other apps to edit your images with additional filters. First response time refers to the amount of elapsed time after a customer submits an inquiry and the time it taked for a customer service rep to respond. On Twitter following someone means you will see their Twitter updates in your personal timeline. Twitter lets you see who you follow and also who is following you. The proportion of your followers to those you are following as it related to a given social media platform. Refers to the number of users you follow on Twitter. Refers to the number that are following a Twitter account. A forum refers to a message board on the Web where people hold conversations in the form of posted messages. Chat rooms are different because messages are typically only one line of text. Foursquare is a local search app which provides results for its users based on places a user goes, the things they have told the app that they like. 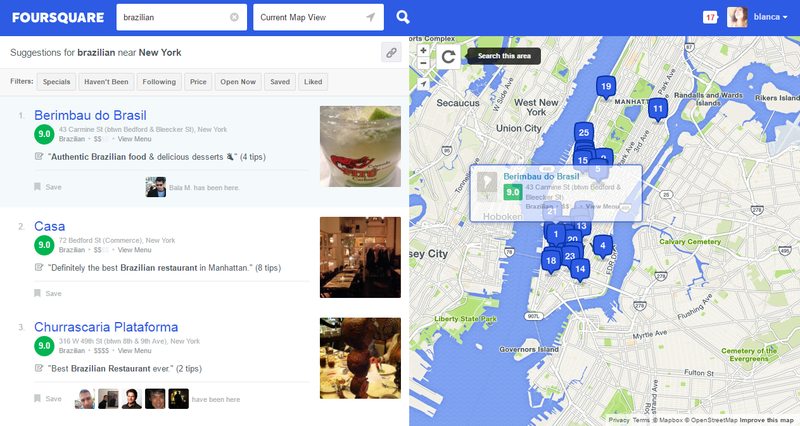 Foursquare provides recommendations of the places to go near a user’s current location. On Facebook, when you add someone as a friend, you automatically follow that person, and they automatically follow you. When you follow someone who you’re not friends with, you’ll see posts that they’ve shared publicly in your News Feed. Emojis appear next to Snapchat contact names and have various meanings. Friendship pages display a collection of stories and interactions between 2 people connected on Facebook such as the Timeline posts you’ve exchanged, mutual friends, events you both attended, the photos you’re both tagged in and the things you like on Facebook. Geofilters refer to overlays that indicate the geographic location of Snapchat users. Geofilters make it easy for Snapchatters who are at various locations to send messages to friends. Geotagging is when geographical identification is added to various media such as a geotagged photograph or video. Geotargeting refers to targeting a specific market based on the geographic location of potential buyers. The Graphics Interchange Format or “GIF” is a bitmap image format introduced by CompuServe in 1987 that enjoys widespread usage on the Web. The term “handle” is a euphemism for an account name on a given social media platform, for example @socialdraftapp on Instagram. A hashtag on social media is a word or phrase preceded by a hash or pound sign (#) and used to identify messages on a specific topic. Hasthags are prominently used on Twitter, Instagram, and Pinterest. If you need a guide on how to find and use hashtags, click here. A header image is the image at the top of a user’s Twitter profile. Hearts are a way for you to share Periscope app approval. If you like what you’re seeing, just tap the screen to give the broadcaster a heart. The main page on a social media account, website or blog. In online advertising, an impression is when an ad is brought from its source, and is countable. Whether or not the ad is clicked does not matter. Each time an ad is fetched it is counted as one impression. The total number of incoming messages addressed to a social media account within a given time span. In social media, an influencer is someone who has an influence over potential buyers. Influencers may be potential buyers, or third parties. Someone with a large number of followers is not necessarily an influencer. You can click here to learn how to find real social media influencers and here to learn how to collaborate with them. Instagram is an online mobile photo-sharing, video-sharing, and social networking service that enables its users to take pictures and videos, and share them publicly or privately on the app, as well as through a variety of other social networking platforms. Instagram Direct lets you send messages to one or more people and share posts you see in Feed as a message. The people you message will get a notification. 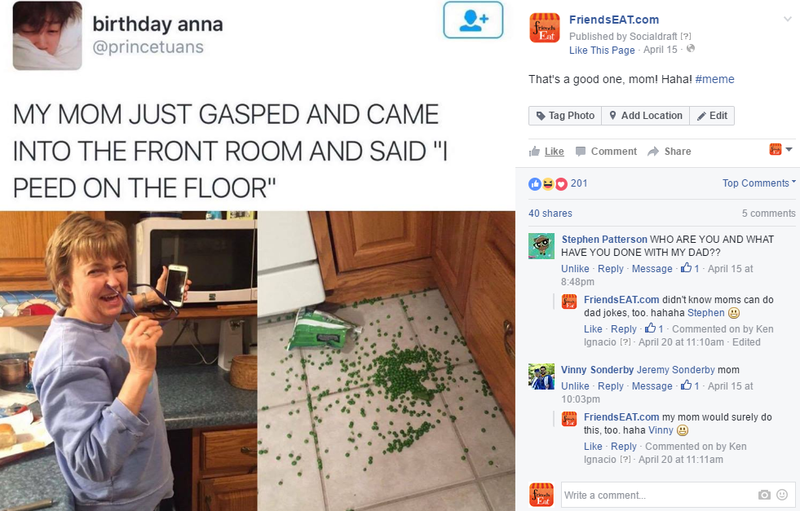 The feed where a user will see all the content posted by users they are following. An ISP (Internet service provider) is a company that provides individuals and other companies access to the Internet and other related services. A key performance indicator (KPI) is a business metric used to evaluate factors crucial to the success of an organization. Business KPIs may be net revenue or a customer loyalty metric, while government might consider unemployment rates. Kik, a mobile messaging app, lets you connect with friends, groups and the world through chat. And now, you can chat with bots too. Klout is a website and mobile app that uses social media analytics to rank its users according to online social influence via the “Klout Score”, a numerical value between 1 and 100. Klout is not a perfect system and should not be used as an accurate measurement of your social influence, but it can be used as a measure that things are going right. If your Klout starts to drop, then you need to get back in the kitchen and retool. Clicking Like below a post on Facebook is an easy way to let people know that you enjoy it without leaving a comment. Likes have recently been enhanced with six emotions called reactions: like, love, wow, haha, sad, and angry. Like baiting is a practice on Facebook where users post items that contain requests to “like” content. Users can also include requests to share or otherwise promote the content. A LinkedIn endorsement is when a LinkedIn member affirms the skills and expertise of another person’s skill. LinkedIn Influencer is a designation given to professionals who’ve been invited to publish on LinkedIn. As leaders in their industries, geographies, and seniority, they discuss topics of interest, such as leadership, management, hiring and firing, disruption, and how to succeed. A written recommendation from a LinkedIn connection that you can display on your LinkedIn profile to impress hiring managers, and potential customers. A Twitter list is a feature for organizing tweet-reading. A list is a group of Twitter user names. Each user is allowed to create up to 1,000 Twitter lists; each one can have up to 5,000 user names on it. The purpose of Twitter lists is to manage messages and conversations, and organize the way people follow tweets or conversations. If you want a few tips on how you can use your Twitter lists for business, click here. Live Stories are compilations of Snaps from Snapchatters at events and locations around the world. Live Stories are curated by Snapchat, and typically appear for 24 hours. A live tweet is when someone posts comments about an event on Twitter while the event is taking place. Marketing automation refers to software platforms designed for marketing departments to more effectively market on multiple channels online, and automate repetitive tasks such as email, social media, and websites. Meerkat is a video app connected to Twitter that allows users to broadcast live video from their smartphone. Meerkatted/Meerkatting is when you send a broadcast through Meerkat. An idea, image, video, or text that is copied and spread rapidly by Internet users. A mention is when another user’s handle is included in a social media message. Messenger is an app that allows Facebook users to instantly message another user on a smartphone. Microblogging is a web service that allows the subscriber to broadcast short messages to other subscribers of the service. Multi-channel attribution is the science of determining what media are driving purchases. The term Mutual refers to the reciprocal following of social media users on social media platforms. The Net Promoter Score is an index ranging from -100 to 100 that measures the willingness of customers to recommend a company’s products or services to others. It is used as a proxy for gauging the customer’s overall satisfaction with a company’s product or service and the customer’s loyalty to the brand. Newsjacking is the process of injecting your brand into the day’s news. In social media, notification is an update on social media activity via a message. Organic reach is the total number of unique people who were shown your post through unpaid distribution. Paid reach is the total number of unique people who were shown your post as a result of ads. Bit.ly is a URL shortener and sharing tool. Page views refer to a number of pages which are viewed or clicked during a given time. Page views may be counted as part of web analytics. Paid Replay allow Snapchat users the option to pay 99 cents to replay three Snaps of their choosing. Normally every photo or video message that is sent to you directly from other users disappears forever after you view it. Paid social media refers to all forms of marketing use of social media where advertisers pay for ad placement. Pay-per-click is a model of internet marketing in which advertisers pay a fee each time one of their ads is clicked. Search engine advertising is one of the most popular forms of PPC. A permalink is a URL that points to a specific web page, often a blog or forum entry that has passed from the front page to the archives, or that results from a database search. Phishing is the attempt to acquire sensitive information such as usernames, passwords, and credit card details by masquerading as a trustworthy entity in an electronic communication. A pinned tweet is a Twitter feature that allows users to pin a tweet to the top of their stream. 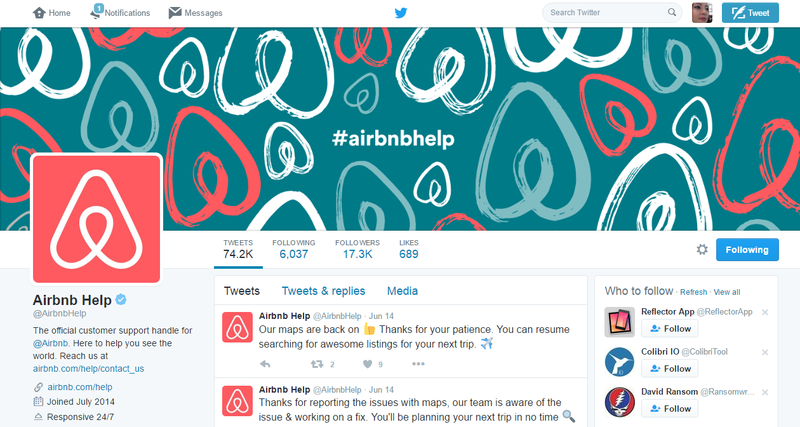 Click here to learn about all the ways you can use a pinned tweet to help your business. 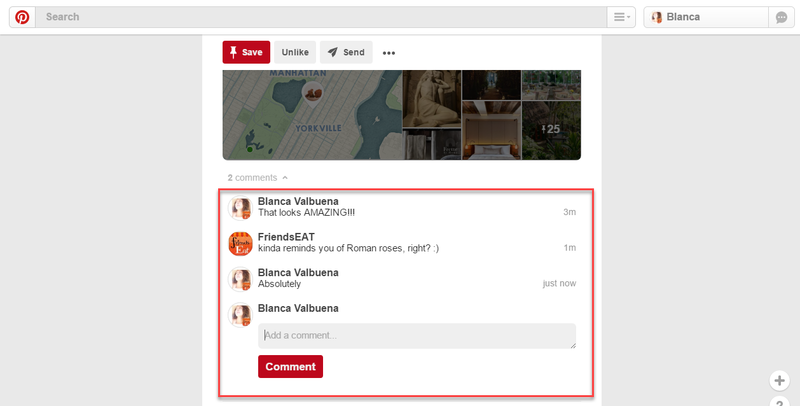 On Pinterest, Pins are visual bookmarks that you collect on boards. You can save Pins you find on Pinterest or add new ones from your favorite websites. Pinterest is a web and mobile application company that operates a photo sharing website. Registration is required for use. A Pinboard is a collection of Pins on Pinterest that can be organized under any subject you choose. A podcast is a digital audio file for downloading to a computer or portable media player, typically available as a series, new installments of which can be received by subscribers. A post is when you update your status on Facebook or on a blog or forum. In social media, private refers to an account on a social media platform such as Instagram or Twitter, that restricts content from the public. On Twitter, promoted Accounts are a Twitter Ads feature inviting targeted users to follow a Twitter Handle. Promoted Trends began as an extension of a Promoted Tweets platform. 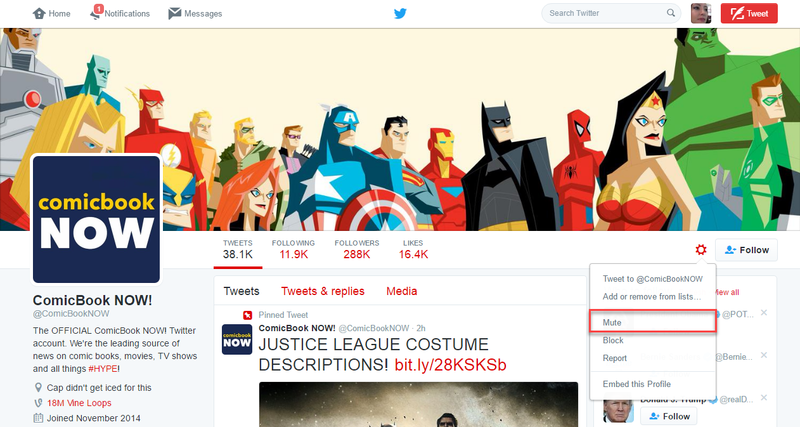 With Promoted Trends, users see time-, context-, and event-sensitive trends promoted by Twitter’s advertising partners. Promoted Tweets are shown to Twitter users targeted in an advertising campaigns. Unless specifically targeted, Promoted Tweets do not show on followers’ timelines. When seen by a targeted user, they act like normal Tweets and can receive replies and be shared, or Retweeted and liked. When you protect your Tweets and make your Twitter account private, only your current followers will be able to see your Tweets. Accounts with protected Tweets require each user to request to follow. A publishing approval process channels content to subject matter experts for review and approval. When you click “retweet” on a tweet a user can “quote” the retweet and add something of their own. Reach refers to the potential audience based on total follower count on a given social media platform. Reddit is an entertainment, social news networking service, and news website where registered community members submit content, such as text posts or direct links. The reddit audience is quite sophisticated and does not respond well to traditional marketing. 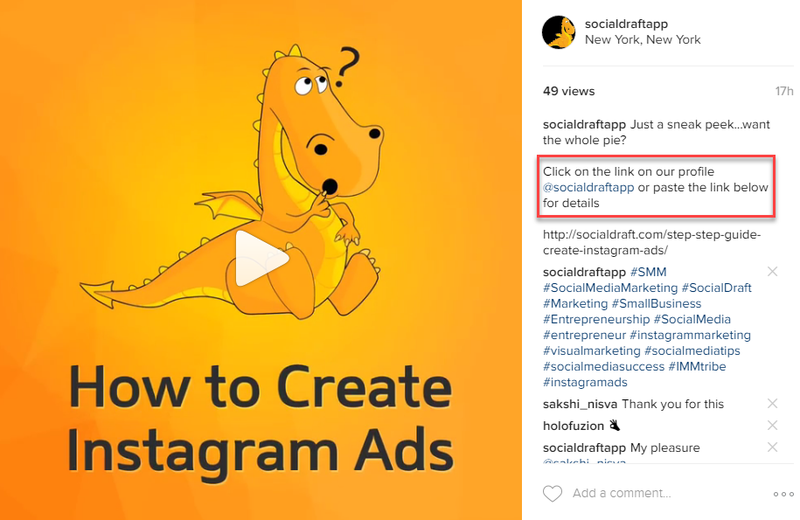 A regram is when you re-post an Instagram image or video. To repin on Pinterest you mouse over the image and click the Repin button. Next choose which board you want the pin to appear on and press Pin. A request for information (RFI) is a standard business process whose purpose is to collect written information about the capabilities of various suppliers. A request for proposal (RFP) is a document that elicits bids from potential vendors for a desired IT solution. The RFP specifies what the customer is looking for and establishes evaluation criteria for assessing proposals. Response rate in survey research refers to the number who answered a survey divided by the number of people in the sample, and expressed as a percentage. Responsive web design (RWD) creates sites for an optimal viewing and interaction experience, with easy reading and navigation and a minimum of resizing, panning, and scrolling on a wide range of devices. The total number of outbound messages a social media platform issues when responding to customer service issues within a given time period. Retargeting is a form of online advertising that captures bounced traffic after they leave your website. For most websites, only 2% of web traffic converts on the first visit. Return on investment (ROI) is an investment of some resource with a positive return. A high ROI means the investment gains compare favorably to investment cost. ROI is used to evaluate the efficiency of an investment or to compare the efficiency of a number of different investments. Return on Relationship (ROR) is a metric for measuring successful collaborations. The term puts a different perspective on managing, measuring, and analyzing business activities than traditional return on investment (ROI) assessment techniques. On Twitter, a Tweet that you forward to your followers is known as a Retweet. RSS, or Rich Site Summary, uses a family of standard web feed formats to publish frequently updated information, such as blog entries, news headlines, audio, and video. Scale refers to how effectual social media is used across multiple departments. 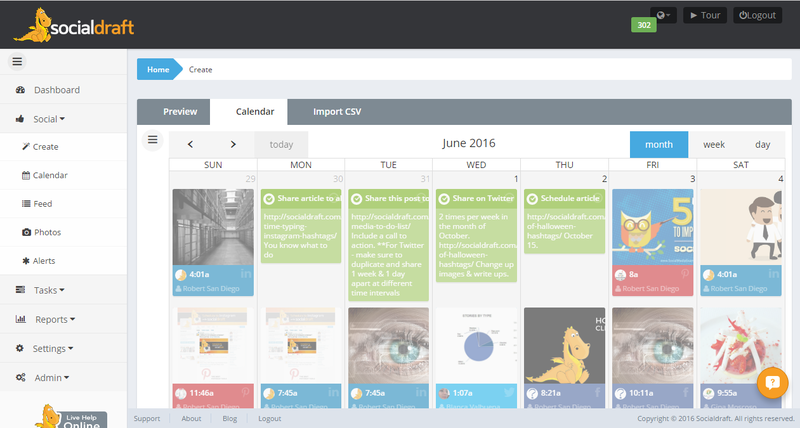 Scheduling refers to the planning of updates on social media with a publishing such as Socialdraft. Socialdraft allows you to schedule to Facebook business pages and groups, one Facebook personal profile, Twitter accounts, Instagram accounts, LinkedIn business pages, one LinkedIn account, and multiple Pinterest boards. A person who is on the Periscope platform. A screenshot is an image taken by a person to record the visible items displayed on a monitor. Sentiment analysis refers to the use of natural language processing, text analysis and computational linguistics to identify and extract subjective information in source materials designed to understand how an audience feels about a brand, or product based on data collected. Search engine optimization (SEO) measures the visibility of a website or a web page in a search engine’s results. The higher ranked on the search results page, the more visitors it will receive from the search engine’s users, and these visitors can be converted into customers. SlideShare is a Web 2.0 based slide hosting service. Users can upload files in the following file formats: PowerPoint, PDF, Keynote or OpenDocument presentations. Snapcash allows Snapchatters to exchange money within the Chat feature. Once Snapchat users have linked their debit card in the app, they can send Snapcash to anyone in their contact list who is eligible to receive Snapcash. Snapchat is an image messaging application software product created by students at Stanford University. It allows users to take photos and videos and add text, drawings, or emojis. 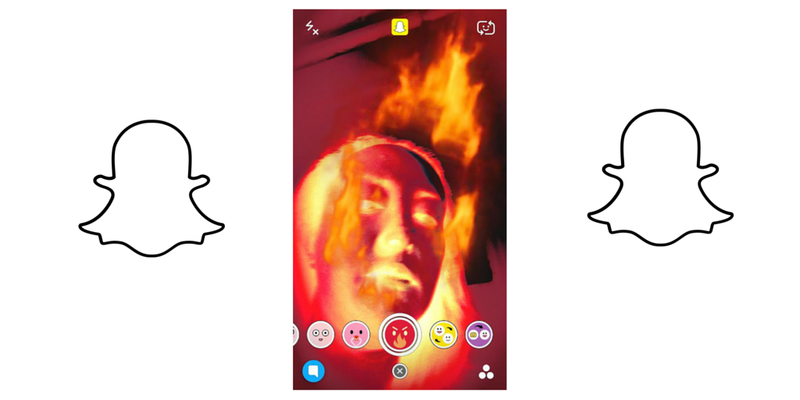 Snapchat Lenses let you take a selfie along with one of a handful of face filters to animate your selfie. The filters pop up when a user’s camera is in selfie mode, and they press and hold down on their face on the screen. The Snapchat Trophy case contains emojis for each achievement you reach on Snapchat after completing Snapchat challenges. Snapcodes are Snapchat-branded QR codes on profiles that can be opened by pressing the yellow ghost icon atop the camera. If another user scans someone’s Snapcode they automatically follow that person. SnapKidz is a photo and drawing app for kids without Snapchat’s main feature of sending messages. Streaking on Snapchat means you have been engaged in a Snapstreak with another person for a certain number of days. Snapchat Stories allows users the option to string together pictures and videos taken throughout the day. Social customer service is refers to identifying and resolving customer service issues on social media. Social media management refers to the tools, software, and strategies companies use to pursue a professional approach to social media and social media interactions. Social Media Marketing is the process of generating website traffic from social media sites. Social media monitoring is the active monitoring of social media channels for information about a company or organization. Social media ROI refers to the return on investment a company can expect to make from its investment in social media technologies. Social media listening refers to monitoring what is being said about a company, brand, or person on social media channels. You can use a social media dashboard to monitor your brand and listen to social media. Social relationship platforms allow businesses to manage social media communications into one place, making it easier to manage. Social selling is the process of developing relationships as part of the sales process. Today this often takes place via social networks such as LinkedIn, Twitter, Facebook, and Pinterest. SoLoMo is an acronym for Social+Local+Mobile marketing and it is a common term referring to a new marketing approach. Spam refers to unsolicited, undesired, or illegal messages in emails and on social media. Reddit entries are organized into specific topic called “subreddits”. There is no main subreddit. 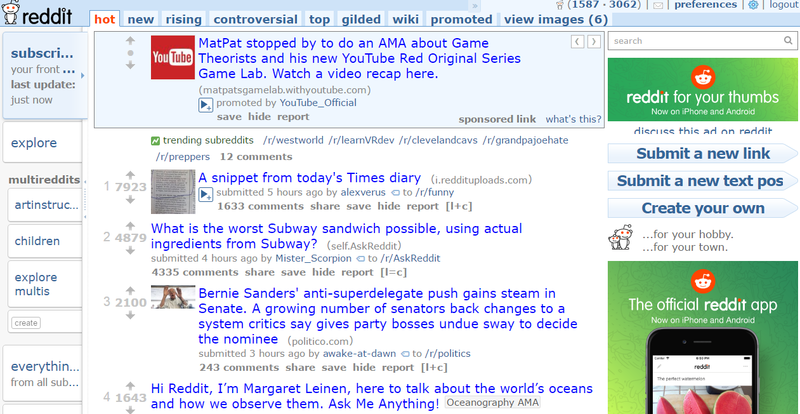 Instead, there are multiple default subreddits dealing with topics such as books, television, and music. A Twitter post that refers to a particular user without directly mentioning them. Usually employed for negative or insulting tweets; the person you’re mentioning won’t see the subtweet in their Twitter timeline. Social Meta tags are elements in your HTML that boost social exposure, increase social media traffic and improve click-through rates. A tag can also refer to tagging someone in a post. In forums and social media, a thread is a strand of messages that are part of a conversation on a topic. Throwback Thursday is a trend among social media sites where users post or repost older photographs with the hashtag #ThrowbackThursday or #TBT. Digital date and time attached to digital data that tells when a file was last modified. In social media, the date and time a message is posted to a social network. Top Tweets are popular Tweets based on an algorithm that many other Twitter users have engaged with and thought were useful. A topic that is popular on social media. Trendjacking is capitalizing on an existing trend in order to bolster one’s brand in the marketplace. The outcome depends on how the message lands contextually in the view of the audience. In social media, Triage is an emergency response to inbound social media messages. A troll is a person who starts arguments by posting inflammatory or off-topic messages on social media or in an online community. A tweet is a posting on the social media website Twitter. Twitter is an online social networking service that enables users to send and read short 140-character messages called “tweets”. Users of Twitter, especially those who post frequently and have a large number of followers. A Twitter canoe is a conversation with more than three participants. With Twitter Cards, you can attach rich photos, videos and media experience to Tweets that drive traffic to your website. The term unfollow refers to unsubscribing from another Twitter user’s account. To remove someone from a list of friends or contacts on a social networking website. The act of removing a friend from your Facebook account. URL is an acronym for Uniform Resource Locator and is a reference to a resource on the Internet. URL shortening is a technique in which a Uniform Resource Locator (URL) may be made substantially shorter in length and still direct to the required page. User-generated content (UGC) is any form of content such as blogs, wikis, tweets, podcasts, and video that was created by users of an online system or service. A vanity URL is a unique web address that is easy to remember, and use, designed for marketing purposes. In social media, “verified” refers to the verification of a social network account. Social networks including Facebook, Twitter, Pinterest and Instagram give high-profile users the ability to request a verification badge. When users have viewed your Snap Story on Snapchat they are referred to as views. Someone who creates a video blog or video log, usually shortened to vlog. Who to Follow is a Twitter feature that supplies account holders suggestions on Twitter based on factors such as your email or phone contacts as well as patterns from your following history. These suggestions are generated by algorithms, which means you may or may not know the accounts or find them relevant. Word clous refers to an image composed of words used in a particular text, in which the size of each word indicates its frequency or importance. If you are curious about Socialdraft, take it for a risk-free trial. 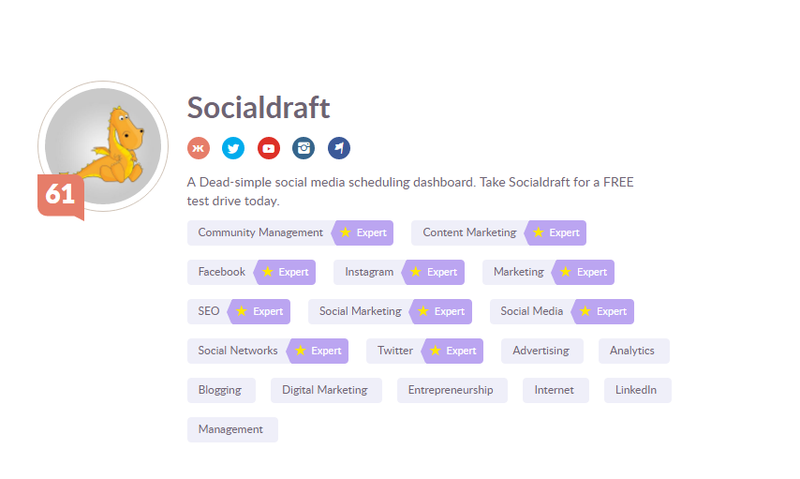 You’ll get to try out all the features and decide if Socialdraft is right for you.